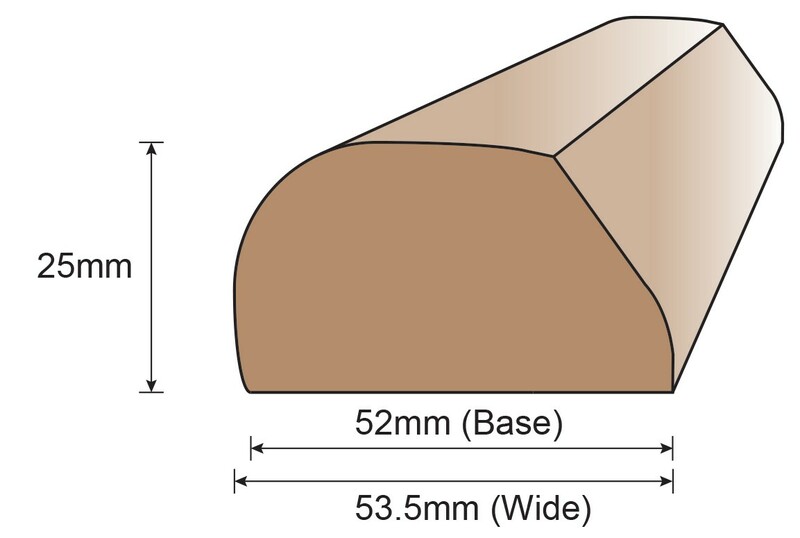 Flexible PVC fender profile with a 52mm base to provide protection to boats and other marine applications. Our non-marking PVC material provides the perfect alternative to rubber D fendering which is prone to leaching its colour on both your own boat as well as those around you. This is a harder material grade to provide a stronger fit and may require heating prior to fitting. Register your interest in this profile by adding "Trade enquiry" to your basket and completing your order. Our sales team will contact you directly to further discuss your requirements.. This product is supplied Sanded - supplied in a sanded finish direct from our factory.